So I have this problem that the TV tries to start but cannot - so it just clicks and fails to go start. 1. After replacing the chip the new one will have no firmware on it. How to I flash it? I really tried searching but all flash procedures I found were assuming a working TV which can be switched on. 2. 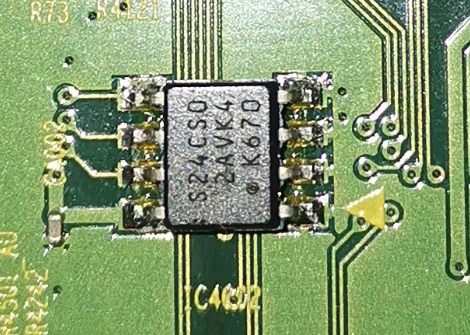 My current EEPROM chip is S24CS02. However, I cannot find exactly the same. Can I replace it with S24CS04 or S24CS08? Re: replace EEPROM chip - and then what? How to flash FW? So which EEPROM chip stores what information? Does anyone know that? And more importantly, where do I get the firmware I need to flash before soldering the new chips?